This article has links to products and services we love, which we may make commission from. 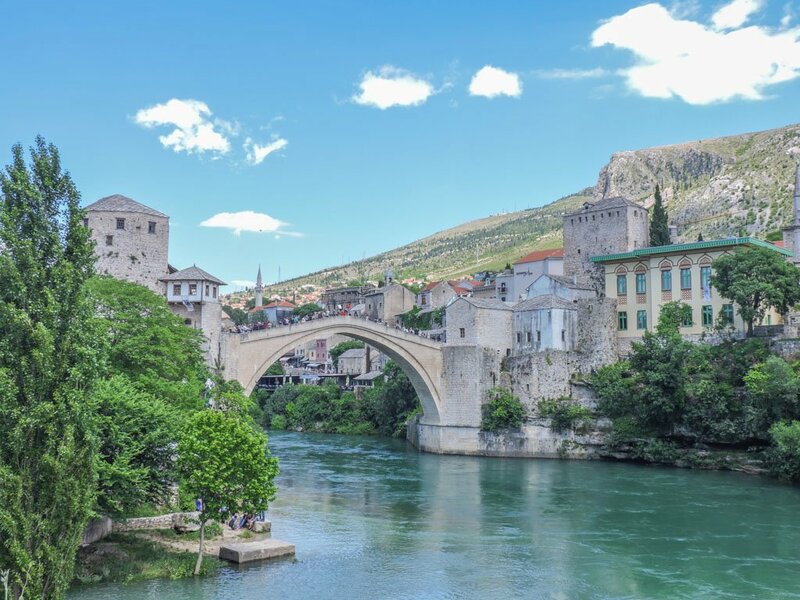 Mostar, Bosnia and Herzegovina – the town with ‘that bridge’! Make no mistake, the bridge known as Stari Most, Mostar is just as incredible in the stone flesh as it is in photos. 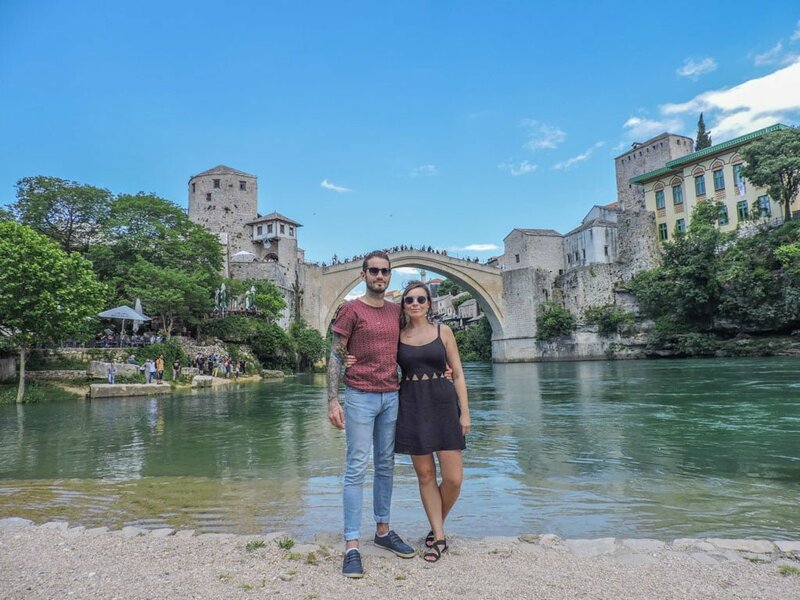 The main problem with Mostar is that the secret is out, everyone who travels to Bosnia’s capital city, Sarajevo, makes the very scenic journey to Mostar, the cultural capital of the Herzegovina region. 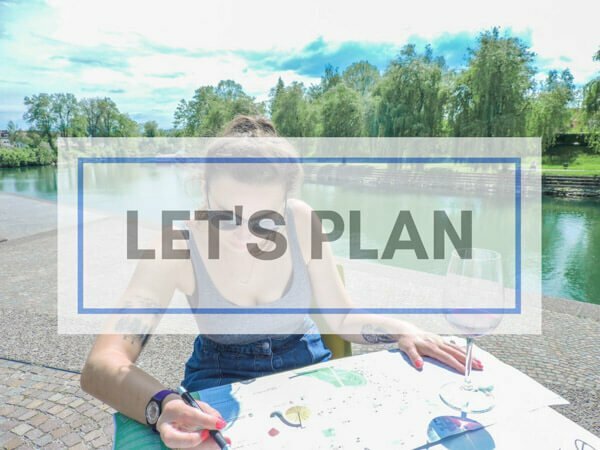 Here are my tips on getting the best out of your trip including things to do in Mostar. Stari Most which means Old Bridge in Bosnian, sits in the Old Town of Mostar. The town was built in the 15h and 16th centuries by the Ottoman Empire. Later the Austro-Hungarians occupied Mostar during the 19th and 20th century. The Old Bridge, which was designed by the chief Ottoman architect, Mimar Sinan, sits over the Neretva River. To avoid the Mostar tours which flood the Stari Most, arrive in Mostar in the morning. If you have the time, stay over night (accommodation advice below). 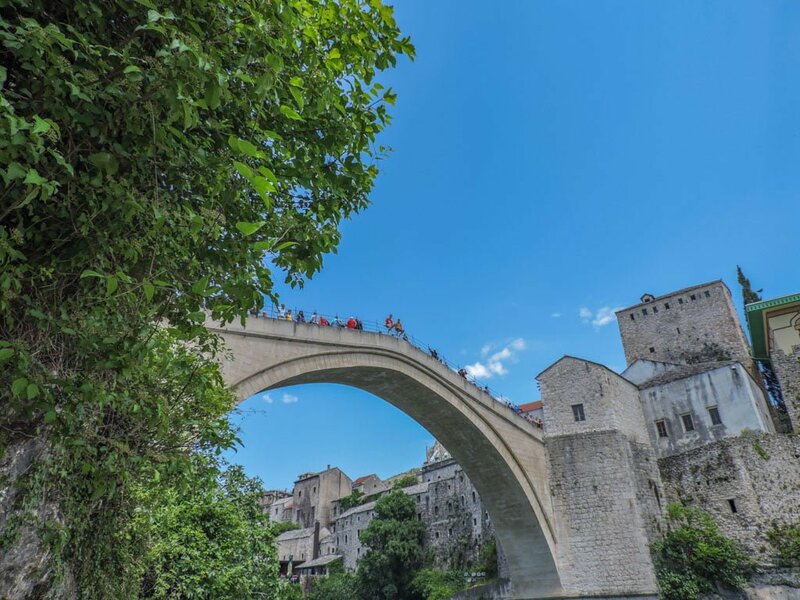 Learn about the history behind the city and that iconic bridge on this Mostar tour. 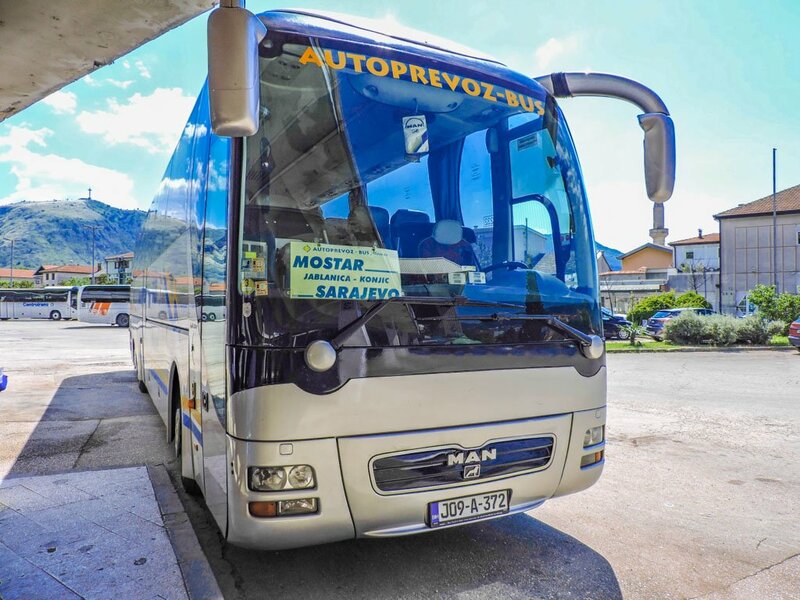 Your tour guide will pick you up at your Sarajevo accommodation and drive you along the beautiful journey to Mostar whilst sharing stories of war and progress. Place yourself on the main cobbled street of Mostar’s Old Town with Stari Most to your left. You want to take a path to the right, away from the bridge, walking over the river using another bridge (like in an ‘L’ shape). Take the stairs down to the water. There are two viewing areas of Bosnia’s most beautiful bridge. The smaller area (area 1, see image below) is nearly directly underneath the bridge and next to a cafe. 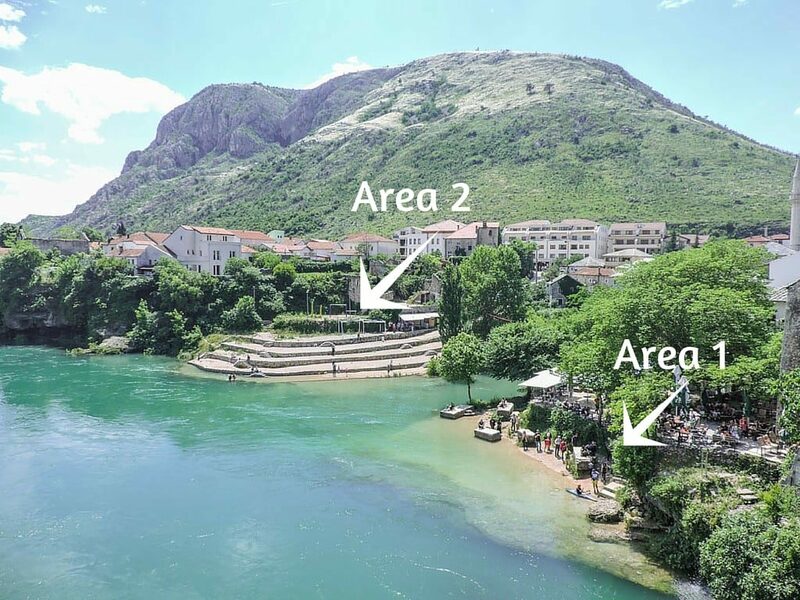 The larger (area 2) is where I took my best photographs of Stari Most. There is an elevated area (next to a destroyed building) which shows off Stari Most at a nice angle. On the lower half of this viewing area you can take nice shots of you and the bridge, go on, prove you were actually there! It’s your trip, give people something else to look at other than beautiful architecture! There is a step / wall which is useful for setting the timer for solo travellers or romantic couple shots! The local divers of Mostar are very popular in Bosnia and Herzegovina! These entertainers jump from the Old Bridge akin to a circus act but like everything in tourist areas, this act is not free! 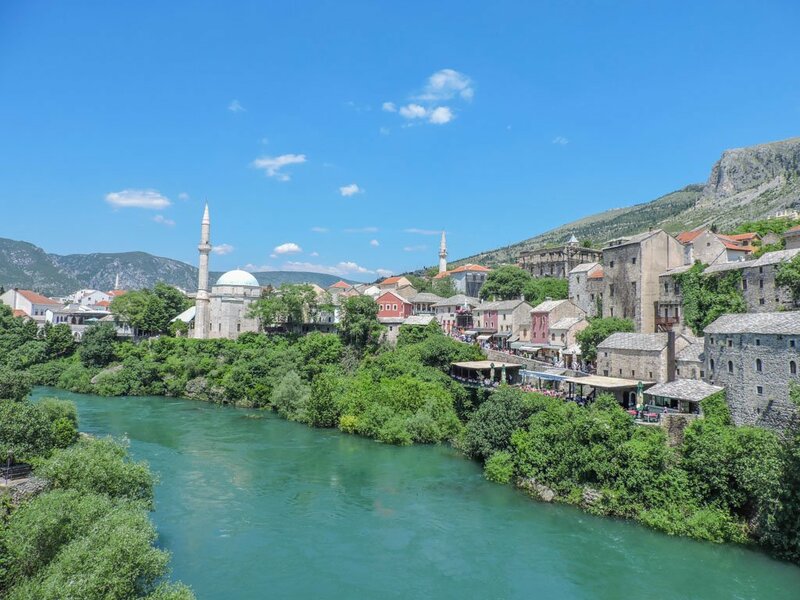 What to do in Mostar – would you dare to dive? I took the above shot from the viewing area #1 (next to the cafe), it didn’t smell great so we moved on quickly! Last year, the famous Red Bull Cliff Diving World Series was set in Mostar! 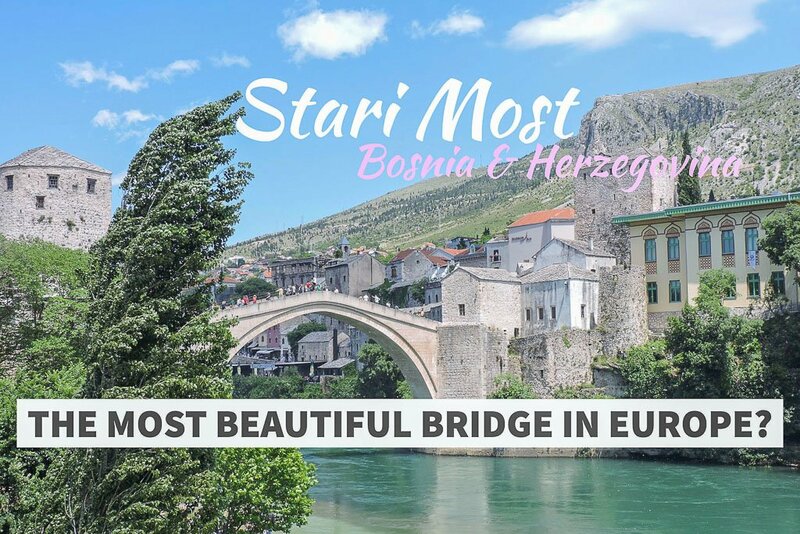 The wonderful Stari Most is one of the of the main Mostar attractions but there are a few more recommended things to do. 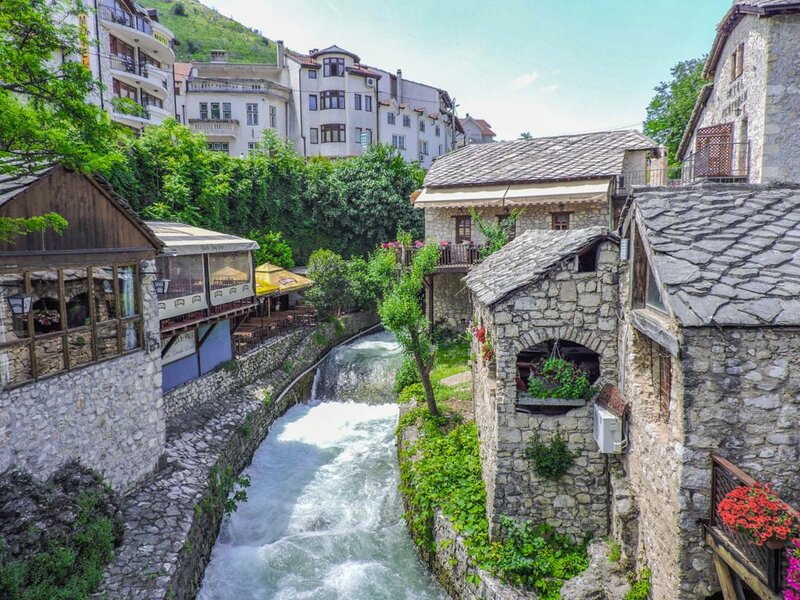 Enjoy Bosnian food at one of Mostar’s restaurants. 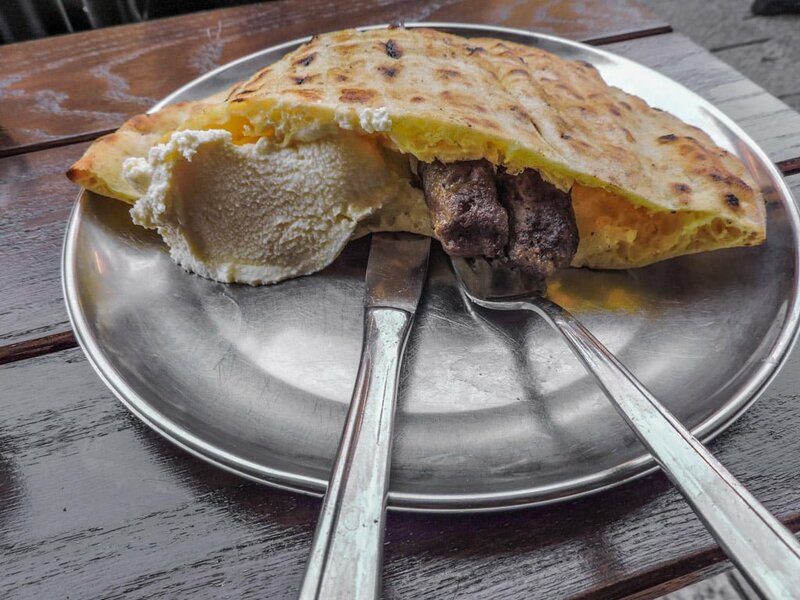 Popular dishes include Cevapi – small sausages, sour cream like you’ve never tasted, onions, and a nan type bread. Another dish is Burek – meat or vegetables wrapped in soggy pastry. Walk the (very tight) cobbled streets of Mostar which are lined with tourist shops selling fringe magnets, clothes, art, and jewellery. Buy some gelato / ice cream and watch holiday – makers slip on the shiny floor surface of the Stari Most! If you walk away from the Old Town Mostar bridge area, you will find lots of bars with tables and chairs outside. However, coffee and board games takes precedence over booze and hangovers here! If you look at the buildings on the streets of Mostar (away from the Old Town) you will see very clearly the destruction that this scenic city faced during the Siege of Mostar in ’92. This is when the Croats and Muslims fought against the Serb-dominated Yugoslav People’s Army. The siege occurred again in ’93 – ’94 when the Croatian Defence Council (HVO) and the Army of Republic of Bosnia fought against each other this time, both aiming to gain control of Mostar (obviously a far more complicated story than this summary). This period of conflict created refugees, death, and damage – including an attack on Stari Most itself. In ’93 the bridge fell while under attack by Croatian shells. 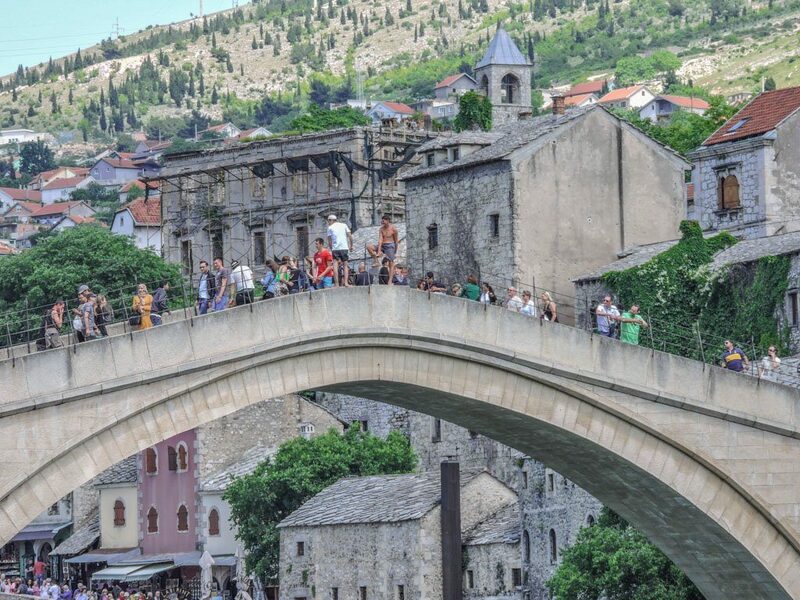 Post war, as the people of Bosnia began to build their own bridges, an international scientific committee established by UNESCO helped restore Stari Most, and much of the Old Town, to its former glory. Fun fact, Croats and Muslims in Mostar could not agree on a whose statue would stand as a symbol of peace in their city so they finally agreed on… Bruce Lee! Mostar hotel prices start from £24 / €30 / $33.87 to £36 /€45 / $50.80, modestly priced for a touristy town. Hostels in Mostar are a cheaper option with dorms start at £7.50 /€9.45 / $10.58. Guesthouses are also popular and there are three campsites in Mostar. 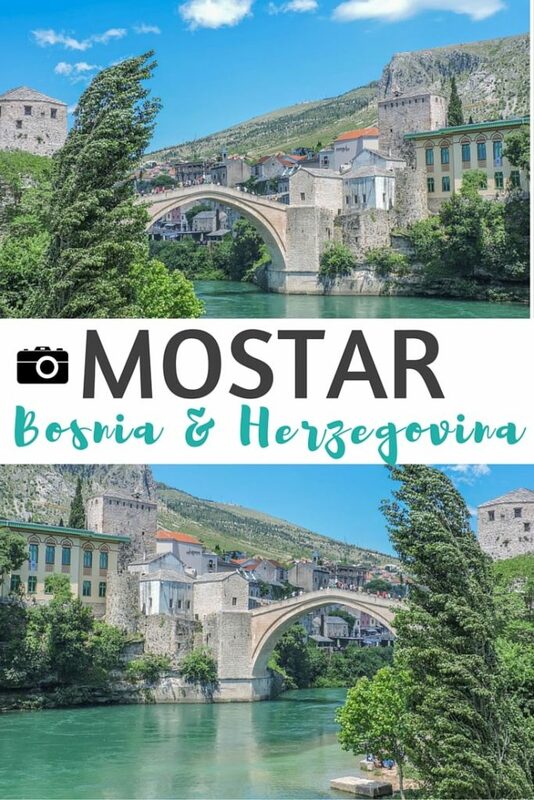 Mostar experiences all four seasons with the warmer months starting June 10th and ending September 8th. The hottest day in July can reach temperatures of 34 degrees. The cold season starts November 22nd to March 7th with temperatures reaching lows of 1 degree. November and December see the most rain but it is also prevalent throughout the year. 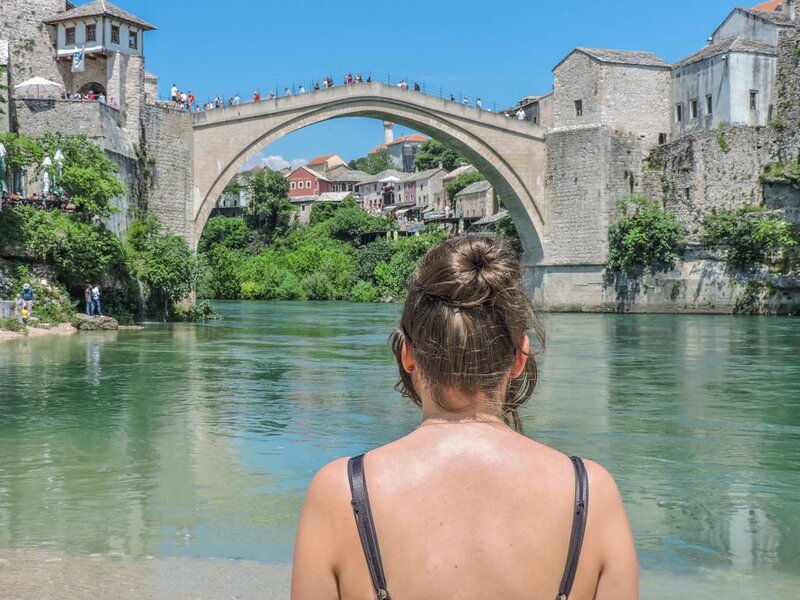 We planned our trip to Mostar on the sunniest day during our time in Bosnia as there is more to do in the rain in Sarajevo than there is in Mostar. Bosnia and Herzegovina uses the Convertible Mark (Konvertibilna Marka or KM). For exchange rates click here. 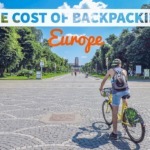 Budget saving: How much does it cost to backpack around Europe? Most PRs, tour guides, shop assistance, etc speak English but the official languages spoke in Bosnia and Herzegovina are Bosnia, Croatian, and Serbian. ‘It’s not just about the destination, it’s the journey’ as the quote goes. The bus journey to Mostar offers a bit of eye candy! The best side to sit at is the right (window seat) on the way there. On the way back the left had a bit of a view but again the right trumped it! Click here to see a short (very amateur!) video of the journey taken on my vintage iPhone 4s. 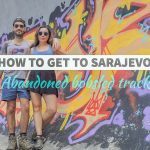 At present there is no functioning train station in Sarajevo. We were told ‘maybe next month’ which people on the Bosnia and Herzegovina TripAdvisor forum found hilarious. There is a bus that runs from Croatia’s Dubrovnik to Mostar every day and costs around £12 / €15 / $17 per person. The Bus Croatia website shows three departures 4pm, 5:15pm and 1pm (which was not available). The journey takes around 3 hours 15 mins. It is likely that it is cheaper to book directly at the bus station but we used this online booking service between Slovenia and Croatia and recommend it. There are four buses from Split to Mostar, 10:55, 5pm, 5:30, 20:33. The journey is 3-4.5 hours long and the price depends on which bus around £11 – 13 / €14 – €16 / $15 – $18. GetByBus offers a bus from Mostar to Budva for 35 leaving at 14:15 (6 hours). The Montenegro Hostel were very helpful when I enquired about transport between Mostar and Montenegro (which we ended up not doing). According to their information, there is a bus from Mostar to Budva, Montenegro (via Dubrovnik) at 7am (£28 / €35 / $39 per person) or a direct bus at 4pm (£24 / €30 / $33). Both journeys take 8 hours. The hostel also organises car transfers for the same price as the €35 bus. The car journey takes around 4.5 hours. We have no affiliation with the hostel, they were just super helpful, we now plan to head to Montenegro next year. 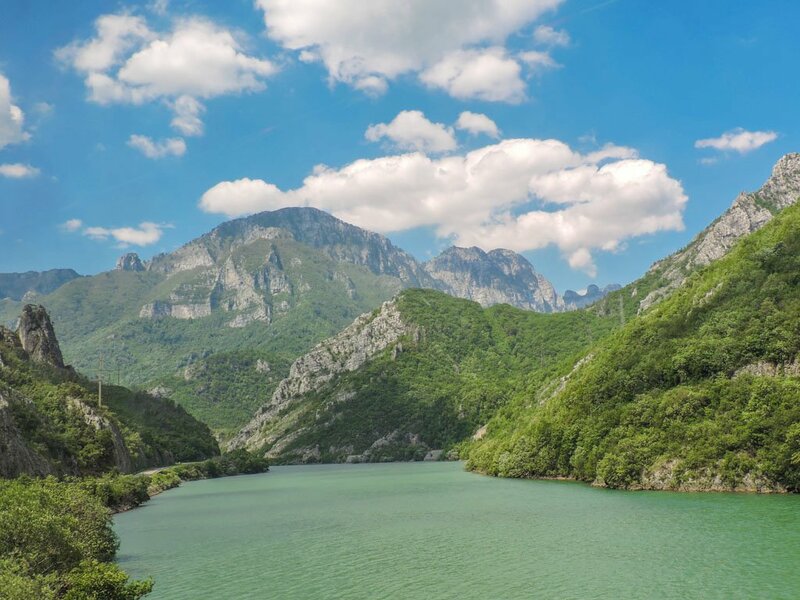 Check out this post on where to go in Montenegro to see why I am pining! Regardless of the bustle in Mostar, it is still worth a visit. 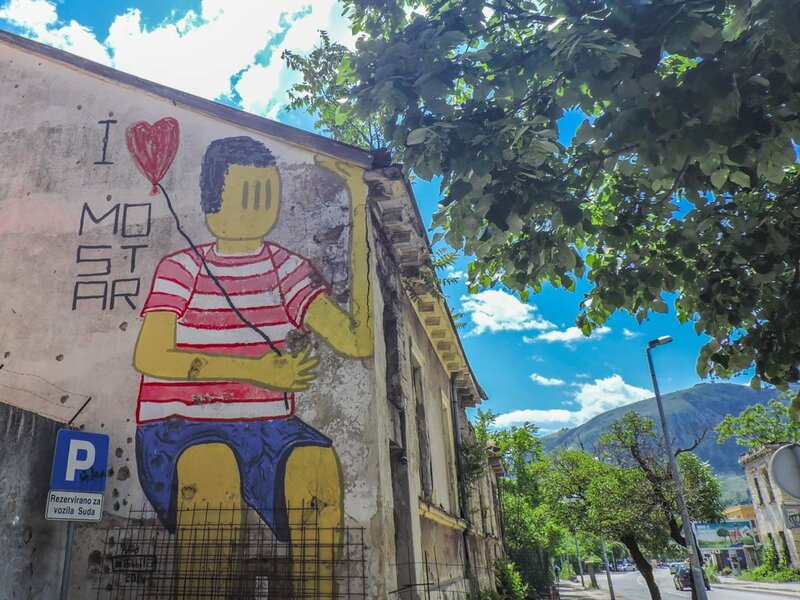 The town really is beautiful, and I encourage tourists to put money in the pockets of Bosnians (go with a local Mostar tour), regardless of the 90s conflict being over, there is still a daily struggle for many with 42% off the country drowning in unemployment. 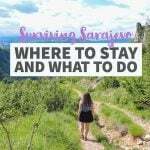 Heading to Sarajevo? Don’t miss our gushing review of one of our new favourite European cities! Going to Bosnia and Herzegovina? Hover over and pin to your Pinterest board! Over to you! Any questions about Mostar or Bosnia and Herzegovina? Prices and times are correct at time of writing, do update us if anything changes! We have no affiliation with companies discussed in the article, just passing on our advice. 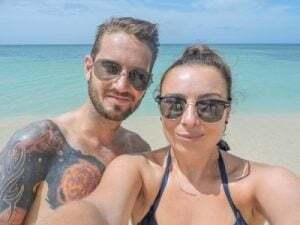 Gemma and Craig are full-time workers with a life-long travel habit. Flirting with 30 and let loose on the world! Gemma writes, Craig looks good in the photos. Interesting post. Enjoyed it completely. Thank you Kanchan. Bosnia was enchanting! My second home <3 I spent a wonderful 3 months last year in Mostar working as a hostel tour guide. I miss it everyday. Amazing post! Ariana! Thank you for swinging by to check out this post! Beautiful spot – just as good looking in real life. If the Bosnian Australian says it’s an amazing post I will take that credit, cheers chica! Hiya! 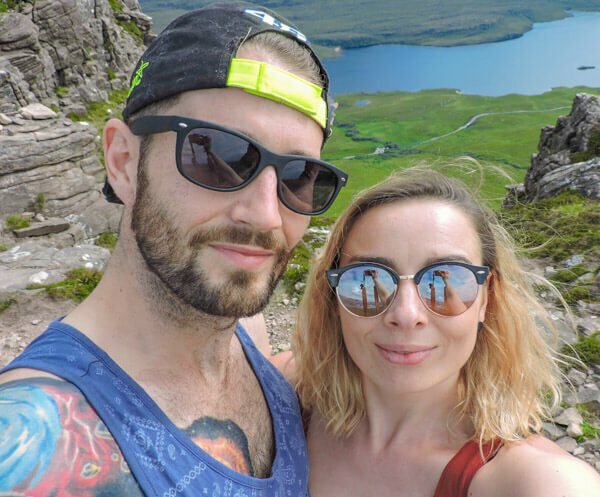 We're Gemma and Craig, full time workers with a life-long travel habit. 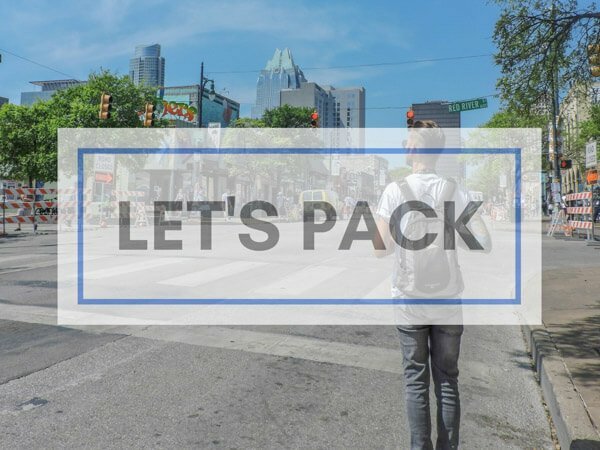 Like you, we work, plan, save and make travel happen. 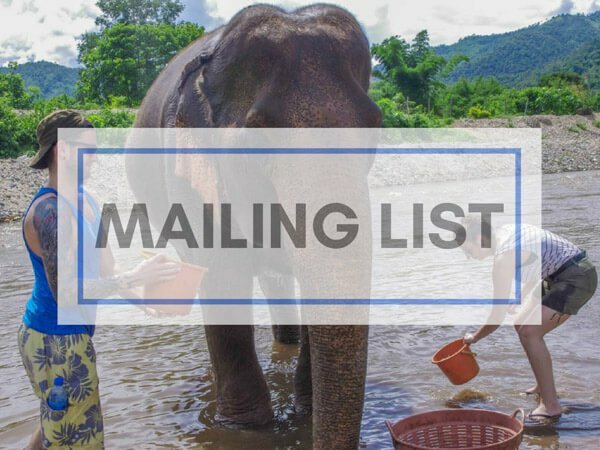 This year we are bringing back the bucket list! What's top of your agenda? Two Scots Abroad | Making Travel Happen since 2014 | X by Themeco '19.